Hello beauties! It might be a little early to mention the 'C-word' (I know, I know...) but my mind has very much turned to looking forward to the festive season lately. Maybe its because life hasn't been that much fun around here, but I'm already looking forward to the release the festivities bring - the parties, the drinking, the eating, the relaxation. I'd been feeling a little demotivated on the diet and fitness front lately. It didn't seem like I had much to look forward to, so I guess I just felt stuck in a rut with it all. I needed something to reinvigorate me badly, especially with the nights drawing in, when a comfy sofa and a boatload of carbs is always more appealing than diet and exercise. So now, I've decided that the LBD will be my mission! I've embarked on a new plan as of Tuesday this week, to run from now until early December. I've made up my own rules according to what has worked well for me in the past. If you're feeling demotivated, in a rut or just looking forward to looking fabulous for party season, I invite you to join me. My aim is quite simply, to shift a small amount of weight and to tone up. I'm not huge, but I've always been about 10 pounds off my ideal weight. I have an ectomorphic body type that gains muscle and bulk easily and my weight is usually consistent, no matter what I do. So, shifting this is going to be HARD. But nothing that's really worth it ever comes easy, right? Let's make these goals smart. I'm aiming to shift seven pounds in time for early December (about 8 weeks). That's realistic and easily achieveable, if I keep to the plan. Any more would be a bonus. I'm currently a UK size 10, and I'd really like to get down to a single digit dress size without squeezing, just to know if the sacrifice is worth it or not! I want to go to all my Christmas events feeling the best in myself that I can. The problems with our move are also consuming my life at the moment, so I feel that I need something positive to focus on. There's no end of LBD inspiration out there. For such a timeless classic fashion, worn in so many ways, there's not a woman on earth who doesn't look hot in one. And I want to as well! So, how are we going to do this thing? I truly believe you can't have diet without exercise and vice versa. 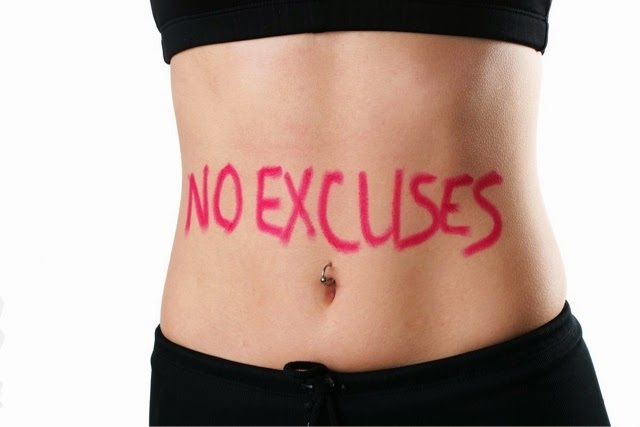 I love my food and dieting is not something I find easy, so I'm combining some previous rules that have worked well for me and I know I can follow. They're really easy but they're also non-negotiable. I must follow these, every week, until I reach my goal. Going back onto the 5:2 Diet plan. This can be controversial, but its the only thing that's worked for me in the past and the only thing I've stuck to for more than a week. It fits around my life perfectly and its (relatively) easy to live with and still have a semi-normal life. I tried it a year ago and ended up really liking it - although it was hard, it was achieveable. It also delivered me lots of unexpected benefits, such as more energy, a clear head and an appreciation of food. That's it. All clear and achieveable with a little mindfulness. 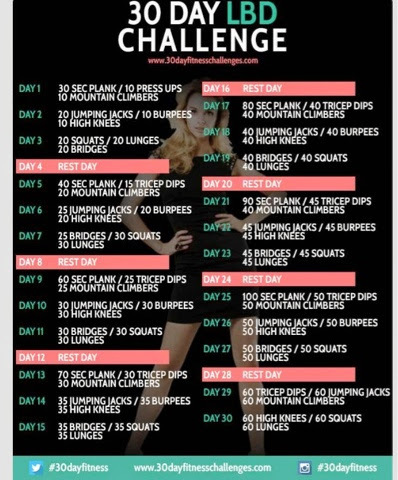 I will complete the 30 day LBD Fitness Challenge exercises every day. These are what really inspired me to begin with. They're very buildable and motivational, and you don't need any special equipment to do them. They'll be easy to fit in before a shower. Plus, they're social! You can share progress and get motivated using the hashtag. 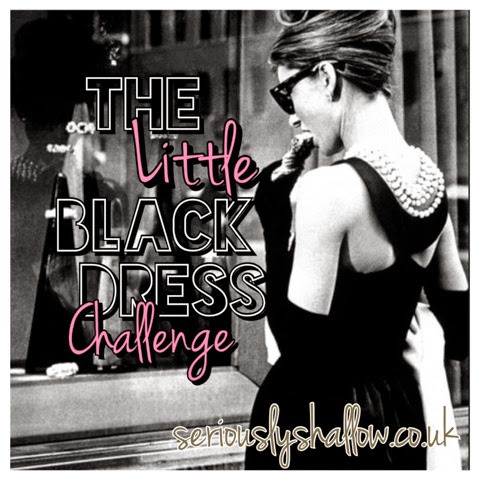 Find out all about the LBD Challenge here. I won't be boring you with constant updates about this, because I for one, don't like reading them. But I do want to get social with this. If you want to do it, then please do join in with me and let me know how you are doing. My reward for all this? Apart from feeling much better of course. 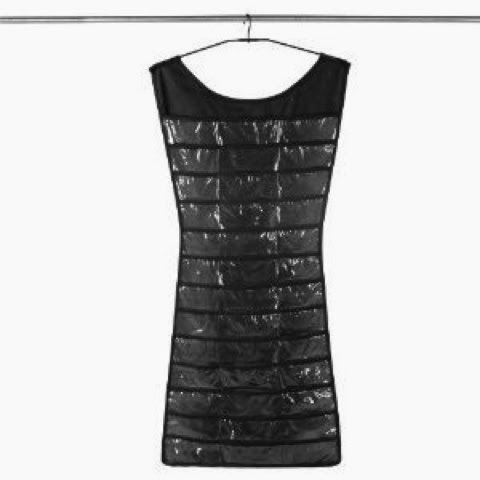 I will be treating myself to a chic new LBD for party season!